Q: Is this part of the meal plan for nursing/Cedar Court? 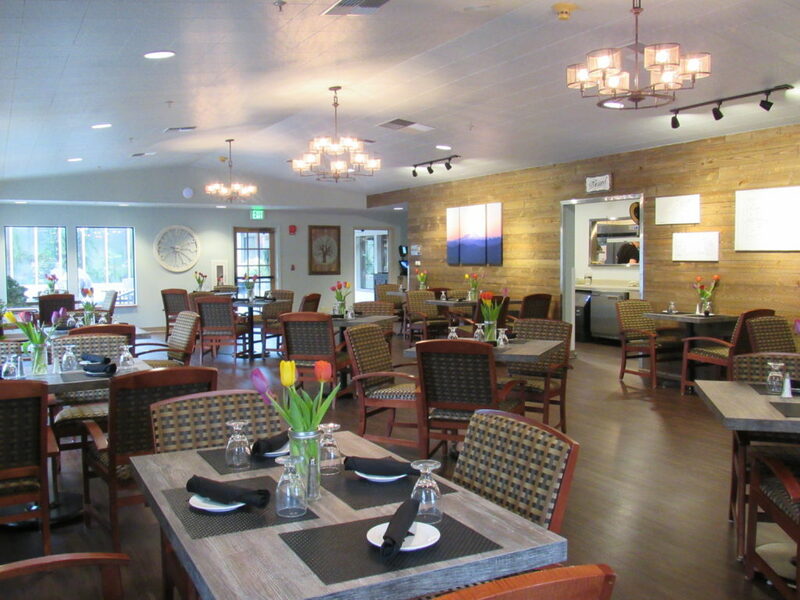 A: No, we do treat Eagle’s View as a separate stand-alone restaurant, each nursing or Cedar Court resident are in our computer system but would need to pay at time of service, as well as their guests. Q: What form of payments are accepted? A: Cash, check, credit card and we sell gift cards at the front desk. Q: My parent has trouble with money? A: At our front desk we sell cards that can be used in Eagle’s View , you may purchase one for any denomination. They would just need to bring the card. Q: My parent cannot remember that card. A: We are able to keep the card at Eagle’s View in a file for future use. Q: Can my parent go on their own to Eagle’s View? A: Each nursing and Cedar Court resident will need to sign out of their area to dine in this location, this is considered an independent area and for security we would like to know where our nursing and cedar court residents are. Q: What kind of care can my loved one get in Eagle’s View? A: If your family member needs assistance with feeding or needs a special diet , we encourage you to dine with them. Our Eagle's View service staff is not able to handle food care – our kitchen staff is not able to make special dietary requests. Q: What if I want to dine with them in their nursing/ Cedar Court area? A: You are welcome at any time to dine with your loved one, we only ask that you purchase a meal card for the nursing or cedar court dining area. These are $6 each and you may purchase as many as you see fit. The server will take that card when you request a meal.